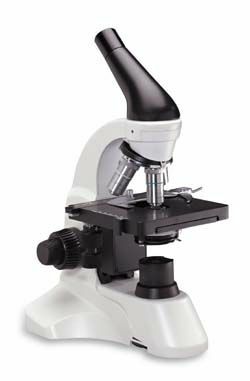 This rechargeable cordless microscope is great for use in high schools, labs and in the field. It allows complete freedom from cords and outlets while including all the most commonly specified features. Rugged metal construction, locked-on parts. Superior DIN optical system and precision mechanical components assure parfocalled and parcentered optical alignment for sharp, unsurpassed viewing. Includes 100xR oil immersion lens and 1.25N.A. Abbe condenser for advanced study. Widefield 10x eyepiece with revolving pointer. Accepts optional #965-160 eyepiece reticle. 45° inclined viewing head rotates 360° for easy repositioning, sharing by more than one student. DIN 4x, 10x, 40xR, 100xR oil emersion objectives are achromatic, parfocalled, parcentered, color coded. 4-hole nosepiece is ball-bearing mounted for more precise alignment, and has positive click stops. LED light rated up to 50,000 hours life, illumination equal to a 20 watt tungsten bulb. Batteries allow up to 1000 recharges, for a total of 40,000 to 50,000 hours of use from single set of 3 AA rechargeable nickel hydride batteries. 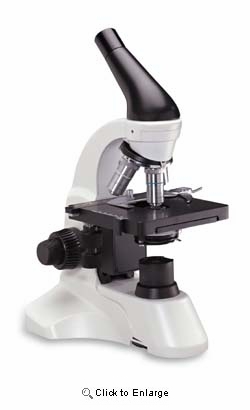 Battery charger included with the microscope. Single 8 hour charge allows 40 to 50 hours of use. 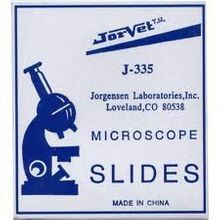 Large 130mm x 135mm (5 in. x 5-1/4 in.) stage, with professional quality, low profile mechanical specimen holder with low-position coaxial x-y controls. Built-in 1.25 Abbe condenser, spiral mounted, requires no filters as LED light provided is white. Iris Diaphragm. Comes in a molded styrofoam container with instruction brochure and vinyl dustcover. Has a Lifetime limited warranty from the manufacturer, excluding LED bulb, batteries, and recharger.